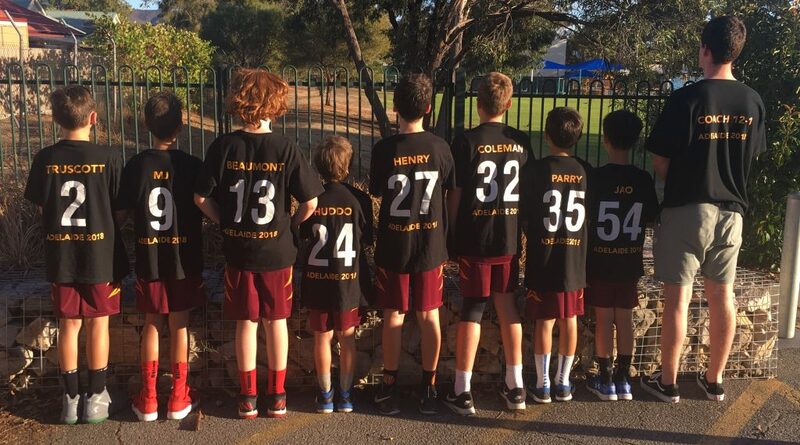 The 12/1 boys, and parents of the boys, as per usual, didn’t fail to impress me with their commitment, with 8 boys + parents going acrossto Adleaide for the weekend. Having entered the boys in A grade, I knew we would come up against some tough teams. Our first game against SA powerhouse club and tournament host Norwood was definitely a rusty one, with our brains seeming to still be back somewhere around Mount Gambier. Despite a late charge, we went down by 5 points. Things went uphill very quickly from there. A refreshing 7am wake up on Saturday morning, along with a quick drive and several large bottles of iced coffee saw us at Pasadena for an 8am tip-off against Hawthorn 3. My post Norwood game spray must have been effective, as going in to the main break the scoreboard saw us leading 25-7. Although the second half was quieter, full time saw a convincing 44-21 win and an awesome team effort which involved everyone contributing and the game plan executed beautifully. Thought that was as good as it gets, guess I was wrong. Our third game of the day saw us against Keilor 2, a team sitting 1st in VJL1 in Victoria with a margin of +41 after only two rounds. Going in optimistic but, in all honesty, somewhat expecting to lose, I was just hoping the boys continued to play as well as they could. Turns out the boys had other plans, a 5-0 start put us in good stead, but some frightfully good Keilor 2 3-point shooting saw us down 17-23 with 6:11 remaining in the 3rd. However, 13 unanswered points from some great press-breaking passing saw us head into 3QT up 7. An equally strong fourth quarter saw the lead climb as high as 12, and finished in a 8 point victory. Even as I am writing this, I still get goosebumps about how well the boys played that game. That win was enough to cement top spot and put us in a semi against Hawthorn the following morning. I won’t speak much about the Hawthorn semi, as I already spent the whole of Sunday upset about it and have no wish to delve further. However, Hawthorn came out very excited and ready to play, barely missed a shot, and our basketball just wasn’t of a good enough standard, with us falling short by only 2 points. Our final game, a consolation final against Norwood, was a blue-tiful way to finish he weekend. A 9-2 start and some great pressure for the whole 40 minutes, combined with a do-or-dye attitude was enough to secure a convincing 35-17 win. Couldn’t be happier with everyone. To play in a different state, on different courts and with different refs, a 3-2 record and a sound win against Keilor 2 makes me a very happy coach. Thanks heaps to Sue for being the best TM there ever was or will be. Thanks to all the parents for giving you their weekends to watch their kids play basketball. 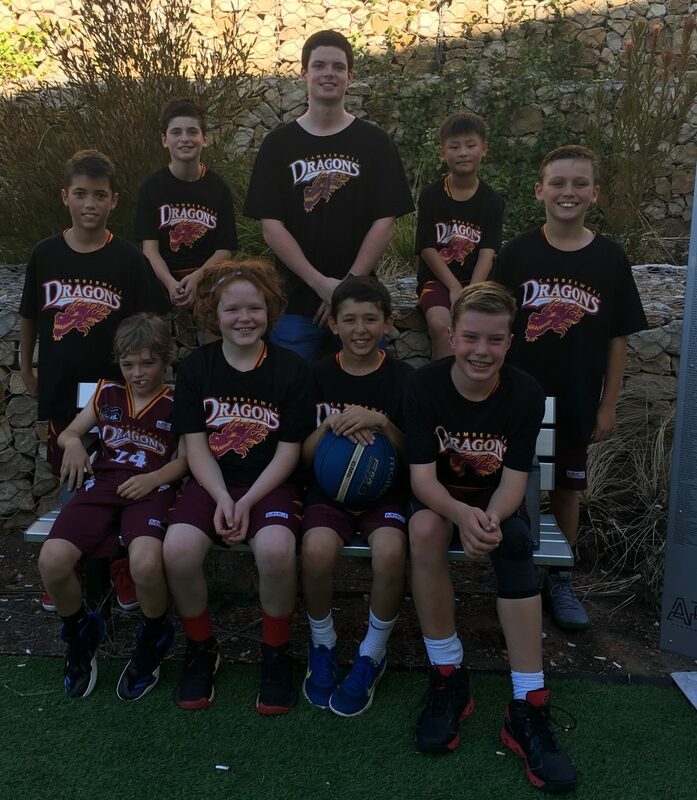 Adelaide Easter tournament was an enormous success for the Dragons boys 14-3s; we started the tournament with a 13 point win against big and skilful “Hotshots”. We continued to play well in next game beating Blackburn 4 by 10points. Boys were a little bit rusty in our third game against Caroline Springs (who went on winning the division) and gave opposition a 15-2 lead at the end of first quarter. Caroline Springs were easily the tallest team in the division, so the boys would have to find ways to score over them. Our boys played exceptionally well in rest of that game and also won the final quarter but the lead was too much to catch-up. To the boys credit they composed themselves in the remainder of group matches and were in control of the games, from the first minute to finish second in the pool with 4-1 record. Boys played semi-final against Hawthorn A’s. Unfortunately a rough patch in the second quarter gave 12 point lead to Hawks but the boys kept fighting until the end to lose 42-45. Regardless of semi-final loss, their sportsmanship and dedication to the team during tournament is something they should all be very proud of. Our boys were entered into the Championship division and came up against some strong opposition. After a very slow first game against Waverley which involved a bit of a spray, the boys responded really well and played the best game they have in a long time with a dominant spectacle against another VC opponent in Collingwood. With some aggressive defence and quick, confident offence the boys managed a 40 point win. The boys continued their aggressive play and game style which saw us get big wins against A-Town, Norwood and Blackburn. This was to hold us in good stead to make the grand final for a replay against Waverley. Unfortunately, an inspired McKinnon team stood before us and despite a 13-2 start in our favour… the wheels fell off. We had foul trouble, we had a dislocated finger and we had an early departure, it just wasn’t our game. The boys missed out of finals due to three unlikely events all happening. That didn’t affect the overall enjoyment of a great trip to Adelaide once again. We were incredibly proud of how the boys adjusted their game over the weekend and hopefully we can take this confidence back into the VC season as we search for our first win. 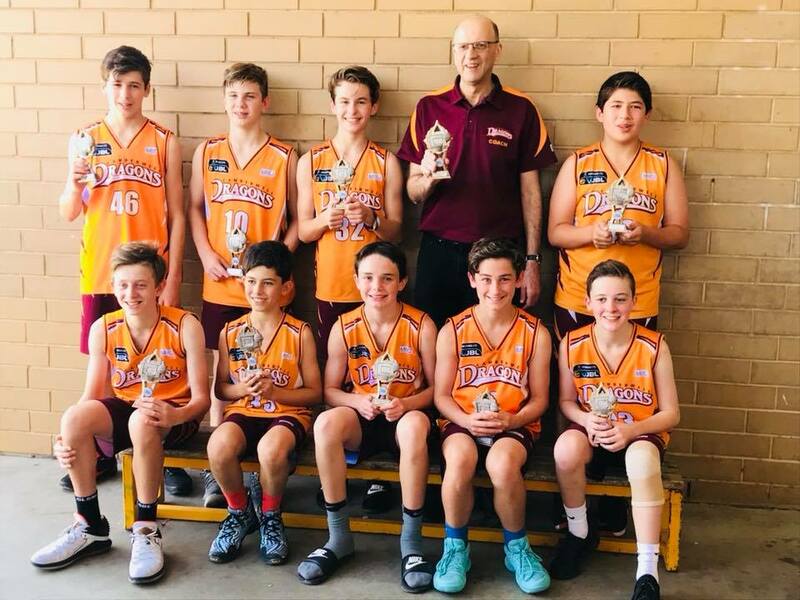 The under 16-2 boys had a tremendously successful Adelaide tournament going undefeated in B grade to win the grand final. 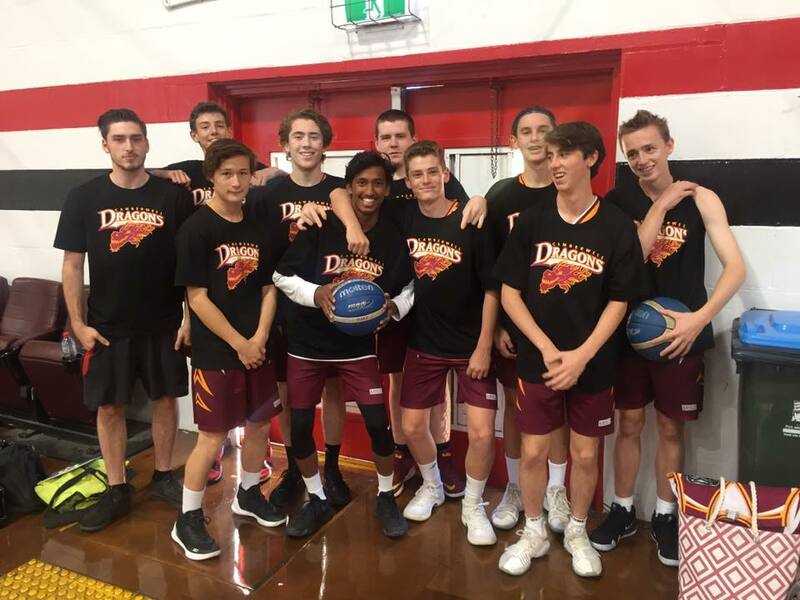 The boys played strong basketball throughout the tournament facing a range of opponents from the unexpected shooters of Keilor 5 to the colossal bigs of Waverley 2. It was very encouraging to see the team continue to work on developing games despite a few blowouts, as well as them keeping their composure in the challenging grand final after not being challenged for a few games. 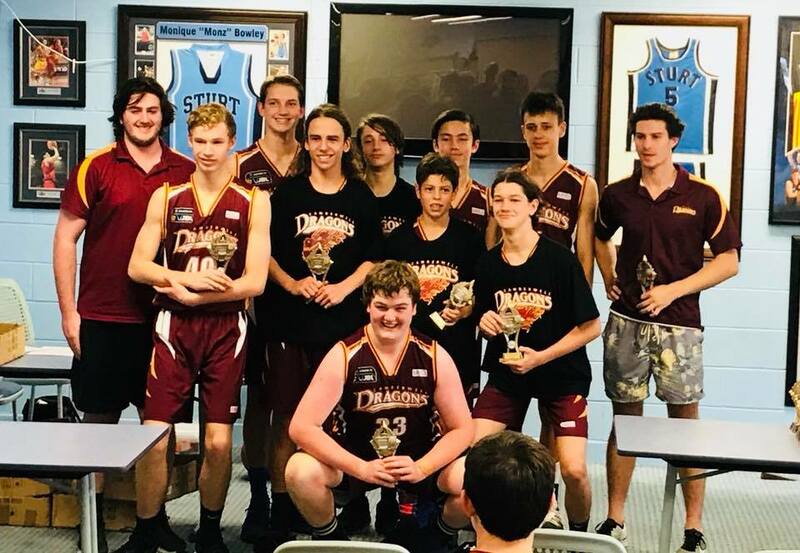 The 16-4 Boys had a great Easter weekend at the Adelaide tournament, where we played some pretty hard basketball, got to spend some extra time with our team mates and parents also got to know each other better as well. We also kept learning about how we play as a team and how we respond to different situations during games. We got off to a strong start against Sandringham 3. Our intel told us that we’d played them a couple of times already this season, but as it turned out, our intel wasn’t very intel at all and it was actually Sandringham 4 who were sitting in the other half of the draw. While we were competitive at the start of the game we suffered a little lapse and ended up losing the game 35-52. We scored well early but the points dried up for us playing on a nice ply-wood court at Port Adelaide. 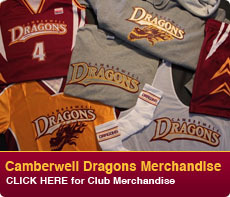 The following night was better for us where we were able to get past Norwood 7, winning 69-26. It was good to get a win on the board and with 2 more games on the Sunday to make the finals there was no margin for error. Sunday started well, with a very strong start against Blackburn 2. Again, we were up early but after quarter time we struggled to score easily. Blackburn caught us up quickly and at three quarter time the game was in the balance. Things unravelled quickly from there and we ended up losing 26-45. Blackburn were strong and we were unable to stop the scoring. Something to work on for the regular season. The next game on Sunday was against Modbury HS. This game was a cracker. They had a pretty strong and tall team but we were determined to finish on a high before the classification final. Modbury was able to edge ahead and were up by about 9 points with a few minutes to play, but we showed great resolve and got ourselves back in the game on the back of some hard running and urgent defence. Unfortunately, we fell short, losing 47-50. This left us with a classification final against Warrandyte 3. Our first quarter lacked energy and intensity. We were down early 3-6, but some team self reflection at quarter time inspired a great turn around and we quickly surged ahead to eventually win 50-12. 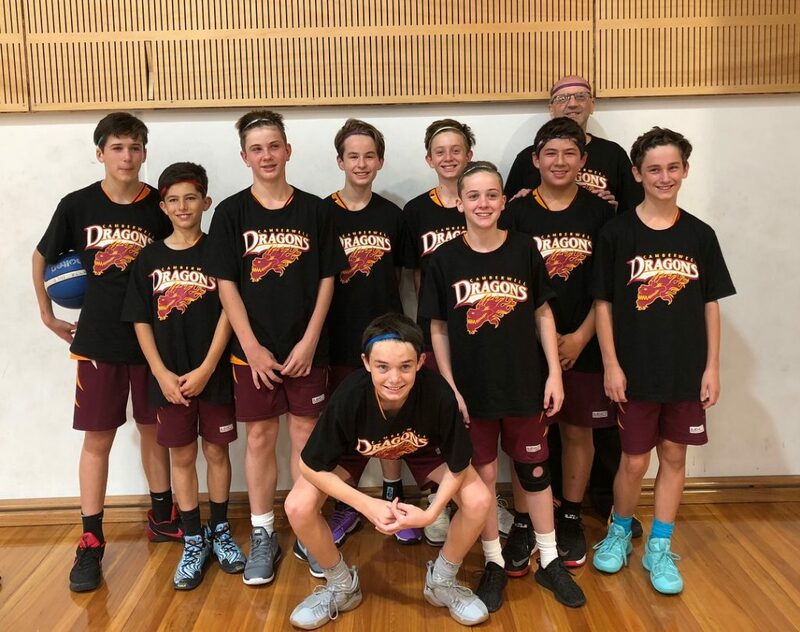 While this was happening coaches Dirk and Steve were keeping a cheeky eye on the 5’s who were playing Modbury HS on the court next door – they had a close game and when our game was finished we went over as a team to watch them have a great win in overtime. As they say, if one Dragon doesn’t get you the other one will! The 18-1 boys entered Champ Divsion. We had a very chilled start to the tournament with our first game not being until Saturday afternoon. We started off with a good win against Broadmeadows, before losing a close game to Collingwood that night. Sunday morning we had a fairly easy win against Southern, before playing our best game of the tournament on Sunday evening against the U16 SA State Team. This put us in 2nd place and in for a semi final. Unfortunately we left our worst game for the finals and went down easily to a team called Average Joes. The boys had a really Good Friday with a 12 point win over Waverley 4. The result was particularly pleasing as we play Waverley again in the first VJBL match back after the holidays. In the next game, the boys played as well as their coach felt (must have been something in the water) and had a bad loss, but they turned it around later that night with a big win against a team from WA. Despite the lop-sided result, both teams had a lot of fun – the WA team had a large and very noisy cheer squad which helped contribute to a great atmosphere. Next was a semi-final against Ringwood 3, and the “form roller-coaster” continued with a second loss. 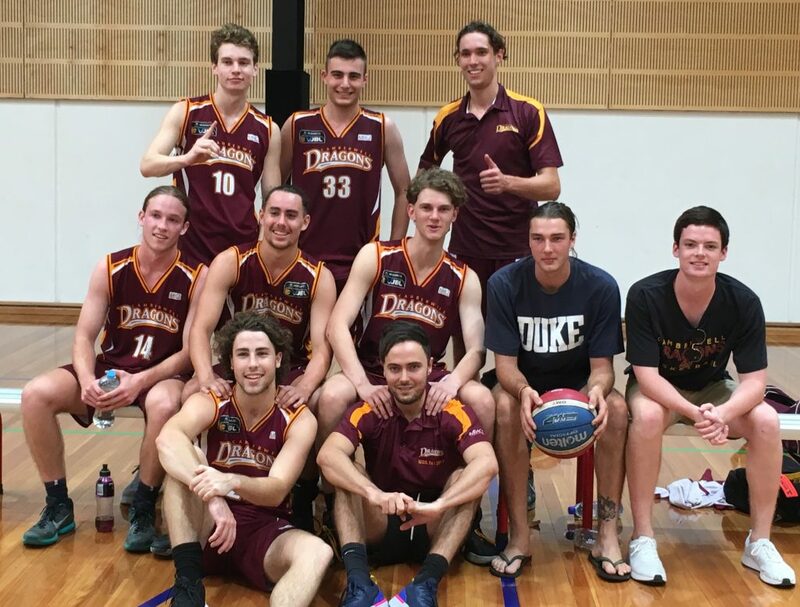 The weekend was rounded out with a Classification final on Sunday night – finally against a team from Adelaide. After a slow start, our Dragons boys fought their way back into the game, but couldn’t make up the start they’d given West Adelaide, going down by 8 points. The 18.3 boys started the tournament well by getting a great come from behind win against Broadmeadows in an exciting game that came down to the wire winning by 5 points. Later on playing an Adelaide team that again came down to the wire where the boys struggled to find their form the entire game and being down double digits late in the fourth to come back to only lose by 4. With the hopes of making finals on the line the team looked to face the top undefeated Ringwood team and were prepared to challenge them and that we did, for most the game it was anyone’s for the taking, leading it close by half time but coming into the third the boys struggled and couldn’t keep up going down by 11. The 21/1 Boys headed across to Adelaide on the Thursday knowing that we were going to come up against some extremely tough, bigger and much older opponents. However unfazed we were able to come out and take out our first game by 23 points on the Friday night. Coming into Saturday with a renewed sense of self-belief, we took on an intimidating GTM team who had taken out the tournament last year. Getting off to a slow start we found ourselves down by 20 halfway through the third quarter. It proved too steep a deficit to bring back as we went down by 4. Knowing we probably should be sitting at 2-0 as opposed to 1-1, we came out on the Saturday night and soundly beat UNI SA to make up for our loss earlier in the day. Having secured our spot in finals, we had a game against the A Town Warriors who we thought looked as if they had a few extra ring-ins from the team we had watched play the previous day. We went down by double digits against a team who were extremely talented however definitely not unbeatable. Having resigned ourselves to the fact that we would not be playing in the grand final, we went home to watch the footy and refresh for our consolation final. About an hour before our game was supposed to start we received a call informing us that the A Town Warriors had played multiple unregistered players against us and had therefore forfeited the final we had just played, moving us into the grand final instead! 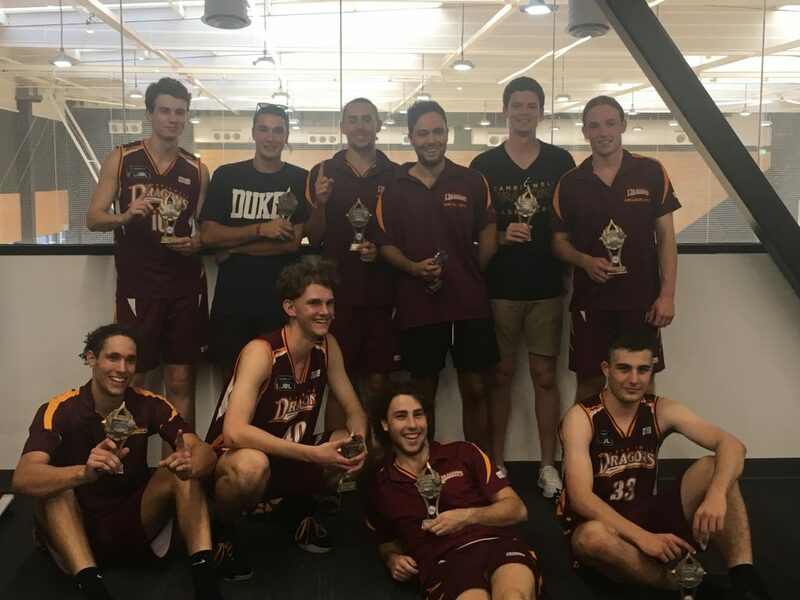 After a frantic reshuffling of flights to make sure we would be able to field a team for the Grand Final, the boys turned up refreshed (albeit giant underdogs) after only having the 1 game the day before. After having a tough fought game against GTM two days prior we knew they were going to be physical and come ready to play and intimidate the boys with their size and athleticism. To the boy’s credit they stuck to the game plan we had gone over the previous night and were unblinking in the face of some seriously big men, winning the physical battle on the defensive end while playing terrific team first basketball on the offensive end. Against all odds, we pulled off a near 20-point upset victory while withstanding multiple runs by GTM towards the end of the game as they threw absolutely everything at us. Overall, it turned into a very successful weekend for the team as a whole and aside from winning the tournament we all became a lot closer as a team, which will hold us in great stead for the season ahead! All of the girls from the 12.1 team and their families made their way to Adelaide by car or plane for the Easter Classic, where we were scheduled to play six games in the championship fixture. The girls had a fantastic start to the tournament with a win against Sturt on Friday and some hard fought loses to some strong teams on Saturday, including Melbourne 1 and the eventual winner West Adelaide. Our biggest challenge was the Sunday morning game (mostly for parents with another 8.15am start) where four of the girls fouled out throughout the game, but with hard work and resilience we went down to Norwood only in the last minute. That form carried through to our last game Sunday night, where the girls probably played their best game of the tournament. We pushed a strong (and tall) Forestville team right to the end with our energy and great teamwork. 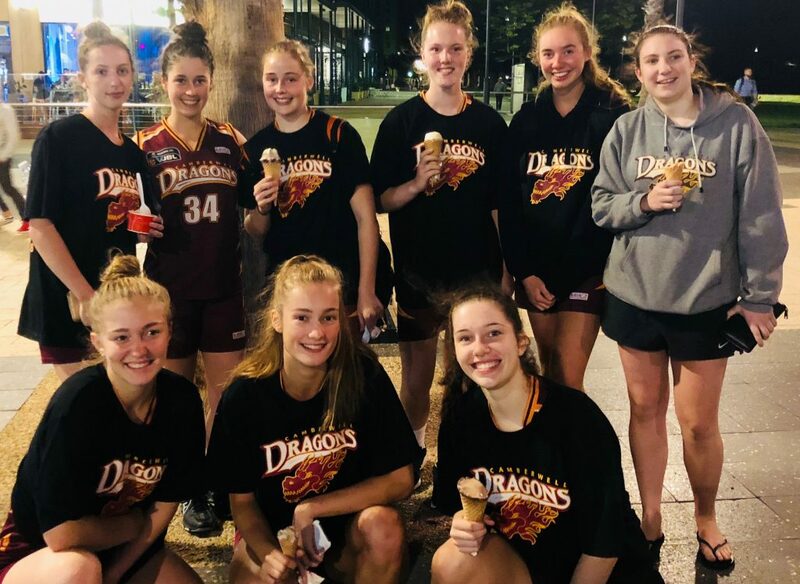 The weekend was more than just about basketball for our team though with the girls, parents and coaches having a chance to spend lots of fun times together on the water slides, trampolines or beaches of Glenelg. We finished our weekend with a 12.1 ‘family’ dinner where we thanked our awesome coaches Prue Ainsworth and Daisy Bateman. On behalf of all of us, thank you both for your dedication, support and advice you give the girls both on and off the court, they are very lucky to have you as their coaches. 1st game v Port Augusta – The first game did not disappoint with the girls coming back from a 13pt deficit to win the game by 5pts. There was some great screening and rebounding along with accurate shots from the outside. The girls proved that fish ’n’ chips the night before really is good preparation! 2nd game v Melbourne 3 – This was a tight game the whole way. Great intensity in defence and offence. Unfortunately we went down by 2pts. 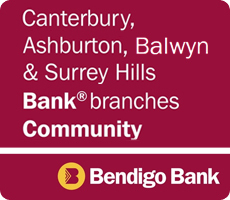 3rd game v Dandenong 3 – We went out strong in the beginning but let Dandenong come back in the middle of the game. Some great shots saw us come away with 5pt win. 4th game v Keilor 2 – Good intensity for the whole game ended with a 7pt win. 5th game v West Adelaide – A one sided game allowed our girls some free flowing play and good scoring. We won by 27pts. The 16/1 girls had a good Adelaide Easter Classic. Coming up against some rather physical and loud teams, the girls did a fantastic job of sticking to their own style of game and playing together as a team. The girls made the semi final and had a couple of great games against Central Districts and McKinnon. The 2nd McKinnon game in particular was a true representation of how the girls can play. They showed great intensity, hustle, team play and defense.